Guizotia oleifera DC., Polymnia abyssinica L. f.
Niger (Guizotia abyssinica (L. f.) Cass.) is an oilseed crop cultivated in Ethiopia and India for its edible oil. Niger seeds yield niger oil and niger oil cake. Niger oil cake is a feed rich in protein, oil and fibre, free from any toxic substance and suited to all classes of livestock that can digest fibrous feeds. The niger plant is a stout, erect annual herb that grows up to a height of 2 m (Bulcha, 2007). The root system is well developed, with a taproot that has many lateral roots, particularly in the upper 5 cm. The stems are soft, hairy, hollow with a diameter up to 2 cm, and branched. Their colour is pale green, often stained or dotted with purple, and become yellow with age. The leaves are opposite, sometimes alternate at the apices of the stems. The limbs are simple and sessile. The leaf blade is lanceolate to obovate, 3-23 cm x 1-6 cm, variable in shape, with a margin that is either entire or toothed, ciliate, softly hairy on both surfaces. Leaves are usually dark green, but the lower ones have a distinct yellow colour. The inflorescences are arranged in apical or axillary cymes surrounded by leafy bracts up to 3 cm long. 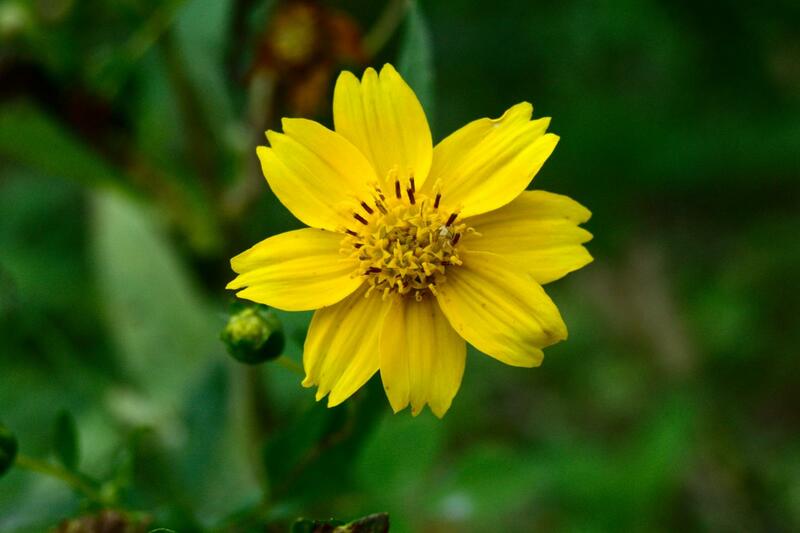 The flowers are capitula, ranging from 15 to 50 mm in diameter, bright yellow becoming golden yellow as they mature. Each flower produces about 50 seeds. The seeds are small achenes (actually a fruit), 3-6 mm long x 1.5-4 mm broad, glossy black in colour (Bulcha, 2007). 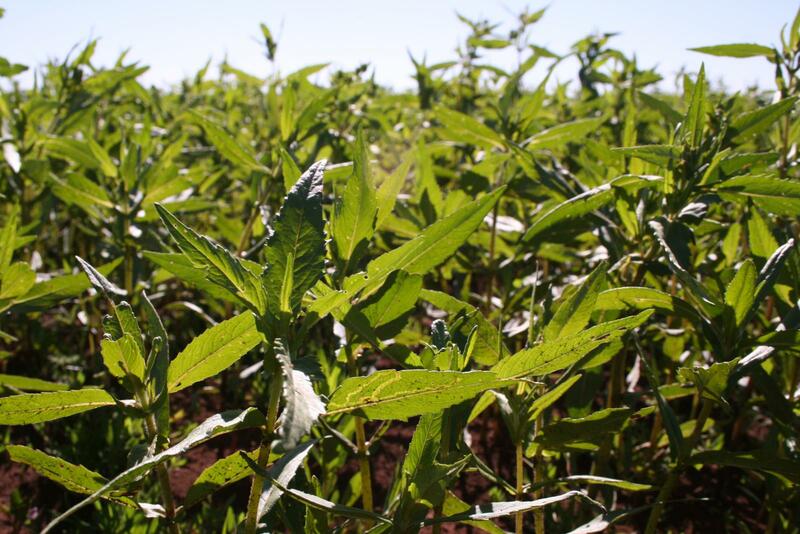 In Ethiopia, niger is a major source of edible oil and provides about 50% of the country’s oilseed production. 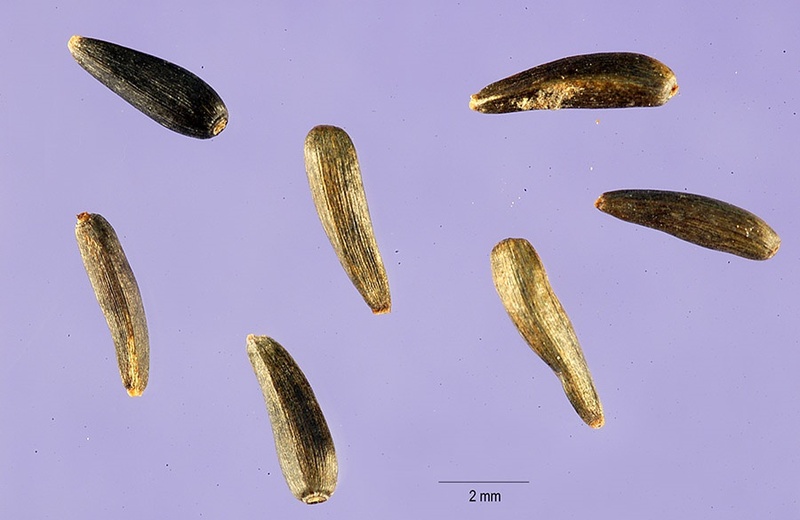 Ethiopian niger seeds contain about 40% oil (Getinet et al., 1996). In India, niger oil is only 3% of oilseed production (Bulcha, 2007). Niger oil is pale yellow, with a nutty taste and a pleasant odour. It is mostly used for cooking, as well as in paints and for the extraction of perfume from flowers (Getinet et al., 1996). Niger seeds are used as food in many Ethiopian dishes, condiments and snacks: "litlit" or "chibito" are niger seeds roasted and ground with salt, then mixed with roasted cereals. They are traditionally served during coffee ceremonies (Bulcha, 2007). In Ethiopia, niger oil cake is the main protein supplement for livestock (Getinet et al., 1996). In Western countries, niger seeds are important components of birdseed mixtures (Lin, 2005). The whole niger plant can be used as fodder for sheep, but it is unpalatable to cattle, to which it is only acceptable as silage (Chavan, 1961). Niger is a valuable cover crop between cereal crops and it can be turned into green manure (Arvalis, 2016). Niger is believed to have originated from Ethiopia where it was domesticated from about 2000 BCE. It then spread to India. It is mainly cultivated in these two countries but is also present in other African and Asian countries (Sudan, Uganda, Zaire, Tanzania, Malawi, Zimbabwe, Nepal, Bangladesh, Bhutan), and in the West Indies. Niger was also tested in Russia, Germany, Switzerland, France and Czechoslovakia in the 19th century (Weiss, 1983 cited by Getinet et al., 1996). 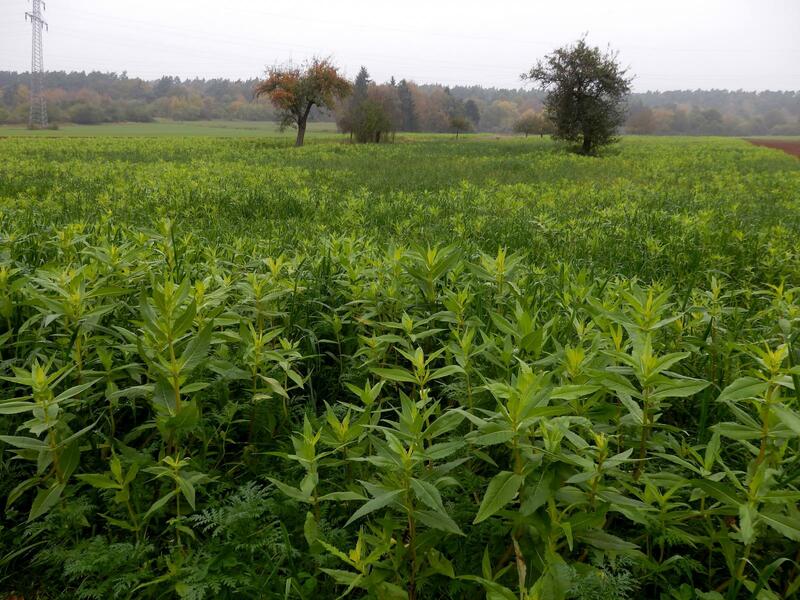 In France, it is used as a cover crop (Arvalis, 2016; Sem-Partners, 2016). Niger is a variable species adapted to different environments: cool tropical Eastern Africa, hotter tropical and subtropical lowlands of India and temperate Europe. It can be grown from sea level up to an altitude of 2500 m where average daily temperatures range from 13°C to 23°C, and night temperatures are above 2°C. Optimal annual rainfall is about 1000-1300 mm, and more than 2000 mm depresses seed yield. Niger does well on a wide range of soils, from poor sandy soils to heavy black cotton soils, at a pH varying from 5.2 to 7.3. Niger withstands waterlogged areas where there is poor oxygen supply because of its aerenchyma and its ability to form respiratory roots. Niger plants have some tolerance to soil salinity (Bulcha, 2007). Niger oil cannot be stored easily due to its high content of unsaturated fatty acids. Likewise, oil-rich niger oil cake may have a short shelf-life. The moisture content of stored seeds must be less than 8% to prevent damage by storage pests, especially moulds (Krishna, 2013). In Ethiopia, traditional oil extraction was done by grinding the dry seeds into fine powder, adding hot water and stirring it until the oil floats to the surface, and then scooping the oil off. Today, niger oil is mostly processed in small, mechanized expeller mills. In India, niger oil is extracted in traditional bullock-powered ghanis, in small rotary mills, or in hydraulic or screw presses. Usually, locally-extracted oil has a short storage life, but heating and storing in airtight containers can prolong it (Bulcha, 2007). Niger can be planted as a sole crop or as an intercrop with cereals (millet, sorghum), legume seeds (cowpea, soybean) or other plants (castor, sunflower, sesame, sweet potato). In Ethiopia, when cultivated as a sole crop, niger seeds can be broadcasted on a well prepared seedbed, at 5-15 kg seeds/ha and covered 1-3 cm deep. In India, seed density is lower: 5-8 kg/ha. When sown as an intercrop, niger seed is allocated about 20-25% of the area. Sowing should be done at the onset of rains or when there is residual moisture in the soil (Bulcha, 2007). Establishment of niger is easy and requires only a few weeding operations since the plant competes quickly with weeds (Bulcha, 2007). Harvest should be done before the crop matures, 3 weeks after half of the florets have dropped. The leaves are then dry and the heads are black. Plants are cut and stacked for a few days to complete drying. They are threshed by hand (in India) or with the help of oxen (in Ethiopia). After threshing, the seeds are winnowed and stored (Bulcha, 2007). Seed yields are about 300-450 kg/ha when the plant is cultivated as a sole crop, and about 150-200 kg seeds/ha when intercropped (Krishna, 2013). In Ethiopia in 2009-2010, niger was cultivated on about 250,000 ha for a seed production of 150,000 t, giving an average yield of 605 kg seeds/ha (Melaku, 2013). In India, niger was cultivated on 437,000 ha for a seed production of 111,000 t, giving an average yield of 253 kg seeds/ha. Yields ranged from 150 to 645 kg/ha in the Indian plains and up to 1050 kg/ha in Bangladesh (Krishna, 2013). Since niger oil cake represents approximately 60-75% of seed weight, it can be estimated that Ethiopia and India have an annual production of 90,000 t and 66,000 t of niger oil cake, respectively. Niger oil cake is a valuable source of protein, with a CP content varying between 22 and 42% of DM. The oil content depends on the extraction process: it is in the 7-14% DM range for mechanically extracted cake, and lower than 4% for solvent-extracted meal. Niger oil cake is rich in fibre, with a large variability: NDF ranges from 22 to 51% of DM. It is particularly rich in lignin (about 12% of DM). Niger seed oil contains 75-80% linoleic acid, 7-8% palmitic and stearic acids, and 5-8% oleic acid (Getinet et al., 1996). The Indian types contain 25% oleic and 55% linoleic acids (Nasirullah et al., 1982). The variations in mineral, protein, fatty acid and amino acid composition depend on environmental factors, location and varieties, and on the oil extraction method (Bhagya et al., 2003; Gebremedhin et al., 2009). Because niger oil cake is often stored for more than 6 months under unfavourable conditions, it is prone to Aspergillus niger mould infestations that produce aflatoxin B1, a carcinogenic toxin that can be subsequently found in milk (Szonyi et al., 2015). In a 2014-2015 survey of feeds distributed in the Addis Ababa area, niger oil cake had the highest amount of aflatoxin B1 (290-397 μg/kg, 10 times that of wheat bran) and was the main contributor to aflatoxin contamination in milk (Gizachew et al., 2016). Only one study reported values of condensed tannins, with a relatively low value of 3.65 g/kg DM (Makkar et al., 1990), which if it is confirmed would not limit the intake or protein digestibility in ruminants. Niger oil cake is a good protein supplement in ruminant diets. It is mainly used in sheep and goat diets for growth or fattening, and to a lesser extent in dairy and beef cattle diets. In most cases, niger oil cake is used to supplement low quality forages (protein content < 7% DM). This supplementation has a positive effect on the digestibility of cell wall constituents which creates a positive effect in the rumen and allows better fibre degradability (Butterworth et al., 1986). It also has a positive effect on diet and forage DM digestibility, provided dietary energy is sufficient as observed with dairy cows, goats, and sheep studies (Kebede et al., 2009; Nuwanyakpa et al., 1987). All results presented and discussed below come from studies done in Ethiopia. In Ethiopia, it was reported that some farmers prefer to feed niger oil cake rather than linseed cake for milk production because cows fed with the latter become fat, and milk production decreases (Gebremedhin et al., 2009). When Friesian x Zebu dairy cows (404-430 kg, 107 days in milk) were fed for 3 months with ad libitum low quality hay plus molasses-urea block supplemented with 1 or 2 kg/d of niger oil cake, average milk yield was not different between the two levels of niger oil cake (3.8-3.9 L/d) and neither was milk composition (Little et al., 1987). When indigenous dairy cows (232 kg, lactation stage not indicated) were fed on pasture for 45 days and supplemented with niger oil cake or commercial concentrate, at the same rate of 0.25 kg/kg milk, average daily milk yield (1.6 to 1.5 kg) and milk composition were identical. Even though the commercial concentrate contained 50% less protein, milk yield was not different, probably because the concentrate contained 75% maize grain and 25% niger oil cake (Kebede et al., 2009). This agrees with the observation mentioned above, where niger oil cake supplemented at 1 kg/d gave a response of 0.260 kg/L milk, and 2 kg/d without more energy did not result in higher milk yield (Little et al., 1987). Recent observations of dairy cow diets in the Tigray region suggested that niger cake enhanced milk yield when included at 10% of the diet in combination with 9-20% atella as a supplement to a wheat bran/barley straw-based diet (Alemayehu Tadesse et al., 2016). When Arsi oxen (Bos indicus) were fed on low quality teff straw and supplemented with 2 kg/d niger oil cake, 1 kg/d niger oil cake plus 1 kg/d molasses or 1.5 kg/d maize grain plus 73 g/d urea, daily weight gain increased with the protein intake. The daily weight gain was 517 g/d with 2 kg niger oil cake and 322 g/d with 1 kg/d niger oil cake plus molasses. However, the diets were not isonitrogenous and the differences could be due to this effect (Mengistu, 2003). When young Borana x Jersey bulls or heifers were fed ad libitum with haricot bean straw alone or supplemented with either niger oil cake (1.09 kg DM/d) or linseed cake (1.20 kg DM/d), daily weight gain increased with both supplements from 122 to 525 and 695 g/d in bulls, and from 167 to 430 and 582 g/d in heifers, respectively. The straw DM intake increased with the two supplements from 2.78 to 3.01 and 3.10 kg/d. Although weight gains were higher with linseed cake, niger oil cake was more cost-effective. However, these results must be viewed with caution because the diets were probably not isonitrogenous, as niger oil cake is often lower in protein than linseed cake, and niger oil cake was also supplemented at a lower amount (1.09 vs. 1.20 g/d) (Tolla et al., 2001). However, in both experiments, the daily weight gain was almost the same for males supplemented with 2 kg/d niger oil cake: 517 and 525 g/d. Because niger oil cake is a good source of protein for diets based on poor quality forages, a good source of energy (e.g. maize grain, wheat bran, possibly spineless cactus) must be provided to enhance the positive effect of niger oil cake on growth and digestibility. Adding an energy supplement with niger oil cake (50 to 117 g/d) increased the daily weight gain of lambs (16-17 kg) up to 53-54 g/d (Kabaija et al., 1989; Osuji et al., 1993; Gebremariam et al., 2006; Lamaro et al., 2016). When niger oil cake was included at 25 or 67% in a concentrate, fed at increasing levels (150 to 400 g/d) as a supplement to low or medium quality hay offered to males (17-18 kg), DM digestibility and daily weight gain increased (Hagos et al., 2009; Asmare et al., 2010). Niger oil cake replaced cottonseed cake in a concentrate offered to growing lambs fed with straw ad libitum, and resulted in a daily weight gain of 23 g/d (Alem et al., 2011). When niger oil cake replaced cottonseed cake or groundnut cake as a protein supplement in an isonitrogenous diet based on straw and spineless cactus offered to fattening males, the daily weight gain was lower than with the two other supplements, although DM digestibility was highest with niger oil cake (Degu et al., 2009). Niger oil cake gave the same daily weight gain (73.4 g/d) as wheat bran (70.1 g/d) offered at the same level (300 g/d) in a diet based on low quality hay (Bishaw et al., 2008). Rice bran could not replace niger oil cake at the same level because of its low protein content (one third of niger oil cake) (Nega et al., 2009). When niger oil cake was included at 20% in a concentrate, offered as a supplement to young fattening goats (14 kg) for 4 months, daily weight gain was higher when the ratio of concentrate:forage was the highest (80:20). There were no effects on carcass quality or composition (Sebsibe et al., 2007). When niger oil cake was compared (in isonitrogenous diets) with cottonseed cake and linseed cake as a supplement to medium quality hay (10% protein) fed to Sidawa growing males (16 kg), there was no difference in hay DM intake (52-59 g DM/kg W0.75) or diet DM digestibility (58 to 67%). However, daily weight gain was lower with niger oil cake: 28 g/d compared to 60-62 g/d with the two other cakes (Alemu et al., 2010). Information about the use of the niger plant as forage is limited. Early experiments reported that niger plants could be cut at the flowering stage and fed as green fodder to sheep. They were reported to be unpalatable to cattle unless chopped and made into silage. An alternative use was as fencing around fields (Chavan, 1961; Melaku, 2013). Recently it has been suggested that from its chemical composition and in vitro analysis, niger could be used as a valuable forage provided it was cut no later than the shooting stage, because in vitro digestibility decreases with increasing maturity (Peiretti et al., 2015). Because of its high fibre content, niger oil cake is recommended for pigs. Niger seed meal was assessed in India as a replacer of groundnut meal in growing and finishing pig diets. It resulted in decreased animal performance at all levels of inclusion, but differences were not significant, and these poor results were attributed to the high fibre content and unbalanced amino acids of niger seed meal (Roychoudhury et al., 1984). The use of moderate levels of niger oil cake (8-17%) in broiler diets led to broiler performance equivalent to that obtained with groundnut cake (Mohan et al., 1984; Samanta et al., 1987). Growth performance was little affected below 24% niger oil cake inclusion, although feed efficiency was progressively reduced (Mohan et al., 1984; Panda et al., 1988). Higher levels of niger cake (more than 30%) led to lower growth and feed efficiency (Samanta et al., 1987; Panda et al., 1988). In conclusion, the use of niger cake seems to be safe when included at less than 10% of the diet. Some care should be taken above this level, because available evidence is from older genotypes with moderate growth potential, and comparisons are between niger oil cake and groundnut cake, rather than soybean meal. Niger oil cake was found to be equal to groundnut cake, in an experiment where both products resulted in growth performance lower than that obtained with soybean meal (Manwatkar et al., 1975). This was probably due to inadequate amino acid balance in the diet. However, feed intake was not negatively influenced by niger cake. In Ethiopia, supplementation of scavenging poultry with niger oil cake was found to be technically and economically beneficial, especially in the dry season (Moges et al., 2014; Tadelle et al., 1997). No information is currently available on the use of Guizotia abyssinica products in rabbit feeding. Niger oil cake and seeds can be safely fed to ruminants, pigs, poultry and humans (Getinet et al., 1996), so these products should also be safe for rabbits. However, direct experimentation with rabbits before extensive use is recommended. 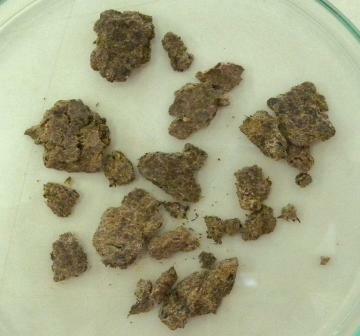 Like other species of the Asteroideae subfamily such as sunflower, the main potential benefit of niger seeds and oil cake in rabbit nutrition, in addition to their high protein content, is their high level of fibre, and more specifically of lignin, which is very useful to control the digestive health of rabbits (Gidenne et al., 2010). The relatively low levels of threonine and lysine in the niger protein (Getinet et al., 1996; Bhagya et al., 2003) should also be taken into account when formulating rabbit diets containing niger products. Little, D. A.; Anderson, F. M.; Durkin, J. W., 1987. A note on the effect of supplementation with noug cake (Guizotia abyssinica) on the milk production of crossbred cows. Proceedings of a workshop held at Ryall's Hotel, Blantyre, Malawi, September 1986 Ed. Little, D. A. and Said, N. A.